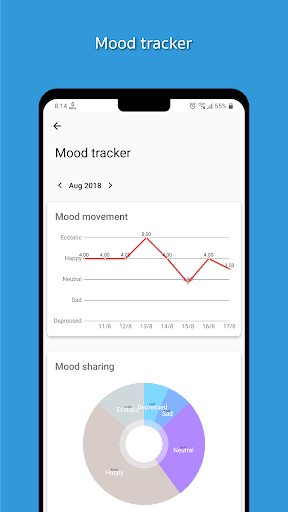 Imagine getting all your life together in one app where you can save your precious memories, document your journeys, plan your future, track your mood, and build your new habits.Aim to be your life companion, Journal it! makes digital journaling secured, versatile, effortless, and motivated. Journal it! doing so by providing you effortless-realtime-sync, a handy organizing system, a set of flexible planning tools, beautiful UI, and abilities that go beyond traditional diary, journaling, or bullet journal. By using journeys and activities, you can track hundreds of journaling subjects in the same place and still easy to manage. Starting a new entry can’t be easier because there’s no need to mention the context again and again. * Inspired by bullet journal, to-dos are highly flexible. You can schedule them base on week or month instead of date. * Notes work best with a list. Plan your list and turn each item into to-dos. * Powerful home screen widgets let you interact with to-dos and notes without opening the app. Track the past, organize the present, and plan for the future. DOWNLOAD Journal it! now.